the intensifying economic sanctions imposed by the Obama and Trump administrations, as well as an all-out economic blockade that has made it extremely difficult for the government to make payments on food imports and manage its debt.  what you’re likelier to read is that the crisis is the product of corruption, cronyism, populism, authoritarianism, resource-dependency, US sanctions and trickery, even the residues of capitalism itself. 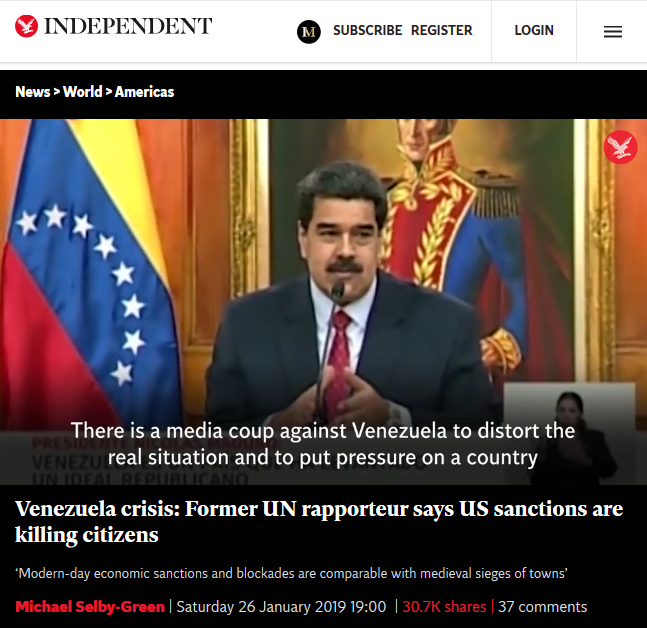 should enhance [Guaidó]’s political standing by providing access to funds that can help him establish an alternative government and entice wavering figures in the Maduro camp to switch sides. It can put Venezuela on the list of state sponsors of terrorism. 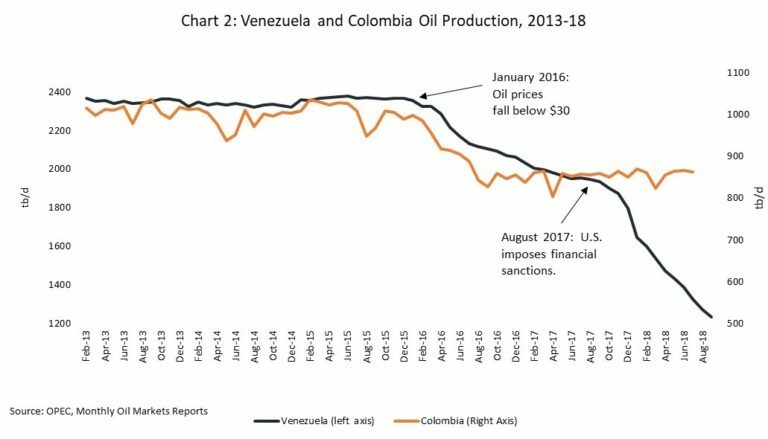 cut[ting] off the means by which the Venezuelan government could escape from its economic recession, while causing a dramatic falloff in oil production and worsening the economic crisis, and causing many people to die because they can’t get access to life-saving medicines. Trump has many levers to pull short of military intervention to topple Maduro. He could use US pressure on the global financial system to cut off regime access to international banks, freezing access to any secret accounts that the regime — and, probably, its highest-ranking leaders — established offshore. 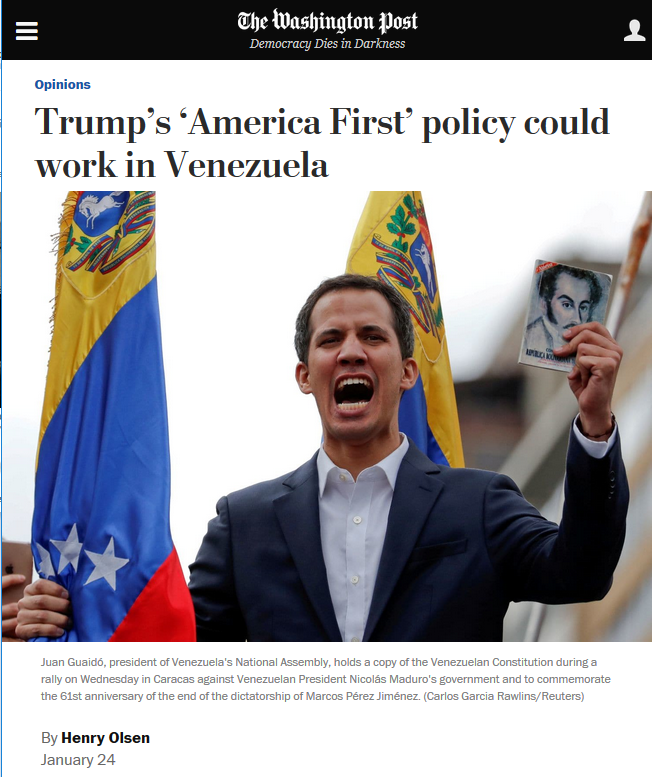 He can, as Sen. Marco Rubio (R-Fla.) has suggested, work with American oil companies that purchase Venezuelan oil to provide the profits from those purchases to accounts controlled by Guaidó’s National Assembly. He can also pressure China, which has a far more valuable relationship with the United States than it does with Venezuela, to withdraw its support. Any or all of these measures would ratchet up pressure directly on the regime, decreasing its ability to finance itself and buy support from security and military figures…. 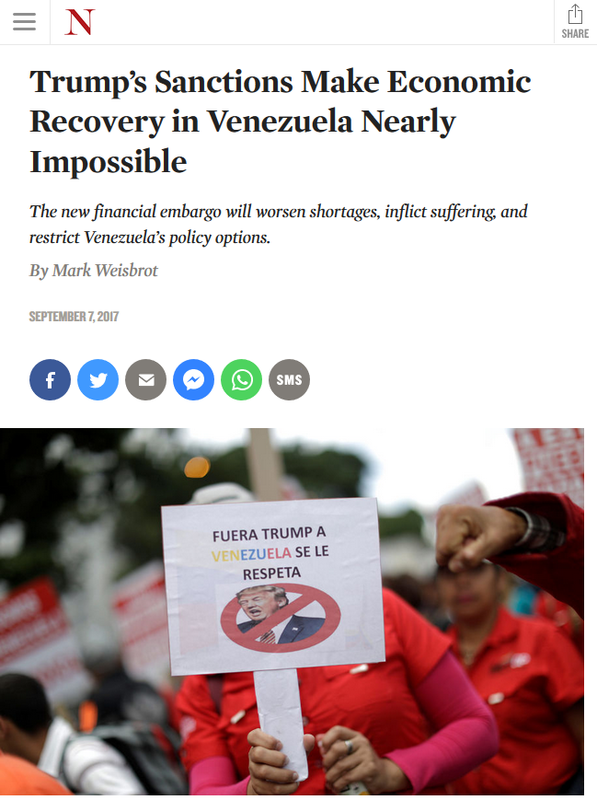 Apologists for the regime blame US sanctions and destabilization for Venezuela’s problems. 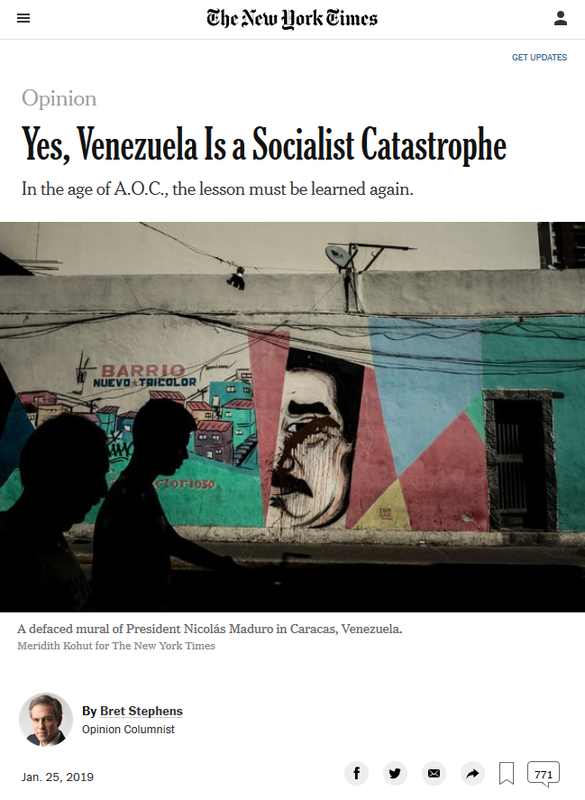 The truth is that, with the exception of the George W. Bush administration’s brief, halfhearted support for a coup attempt in 2002, Washington—learning the lessons of ill-fated Cold War interventions—has shown restraint in dealing with the Caracas regime.